I’m dumbfounded at the fact that the entire city of Balti was without water for 2 days, some accident happened in the main pipe that supplies water to the entire city, and as a result, the water was shut off for two days :D! The water came back on, but we have suffered another two long days without Water in our Shower, so we’ve gone to the other Elders’ Apartment to shower. We were worried that there wouldn’t be water for the baptism on Saturday, but there was thank goodness. 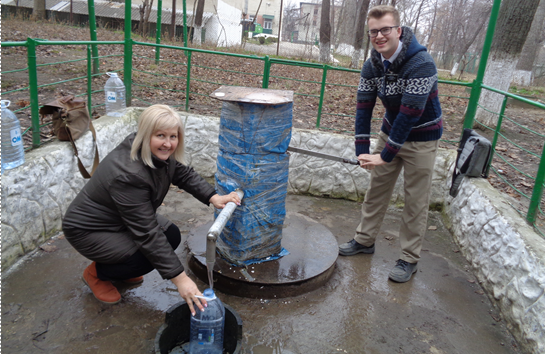 We helped Sister Nelli gather some water at the well, a lot of people use these kind of wells here.